Harvest India is based in the southeastern state of Andhra Pradesh in a bustling city called Tenali. This state is known as the “rice bowl” of India and located on the coast of the Indian Ocean. Its people predominantly speak Telugu. Over 89% of the people in this state are Hindu, and it is well known for its many temples and pilgrimage sites. Tenali is the hub of all of Harvest India’s work, however, we reach far beyond Andhra Pradesh into Tamil Nadu, Karnataka, and many other states. With over 70% of India’s population living in 550,000 villages that stretch across the subcontinent and outlying islands, Harvest India’s call to “carry Christ’s compassion to every village in India” is mandatory. India is a vibrant land rich in culture, history, and people. The official country name is the Republic of India. It is the seventh-largest country by area, the second-most populous country in the world with over 1.3 billion people, and the most populous democracy in the world. India is made up of 28 states and 7 union territories. There are at least 19 different languages and almost 900 local dialects spoken in India. India is the birthplace of several world religions including Hinduism and Buddhism. Over 80% of the population are Hindu, while 13% are Muslim, and merely 3% of the people are Christian. It is a deeply spiritual place, where even government parties are often affliated with religion. Temples, churches, and mosques are the most popular type of tourist attraction you will see in India. Rooted in a deep history of religion, social structures, economic bounty and struggle, India is steeped in centuries of beautiful traditions and at the same time social ills that can seem overwhelming and hopeless at times. Harvest India believes that this is a time of hope for the people of India. Harvest India is based in the southeastern state of Andhra Pradesh in a bustling city called Tenali. This state is known as the “rice bowl” of India and located on the coast of the Indian Ocean. It’s people speak predominantly Telugu. Over 89% of this state are Hindus and it is well known for it’s many temples and pilgrimage sites. 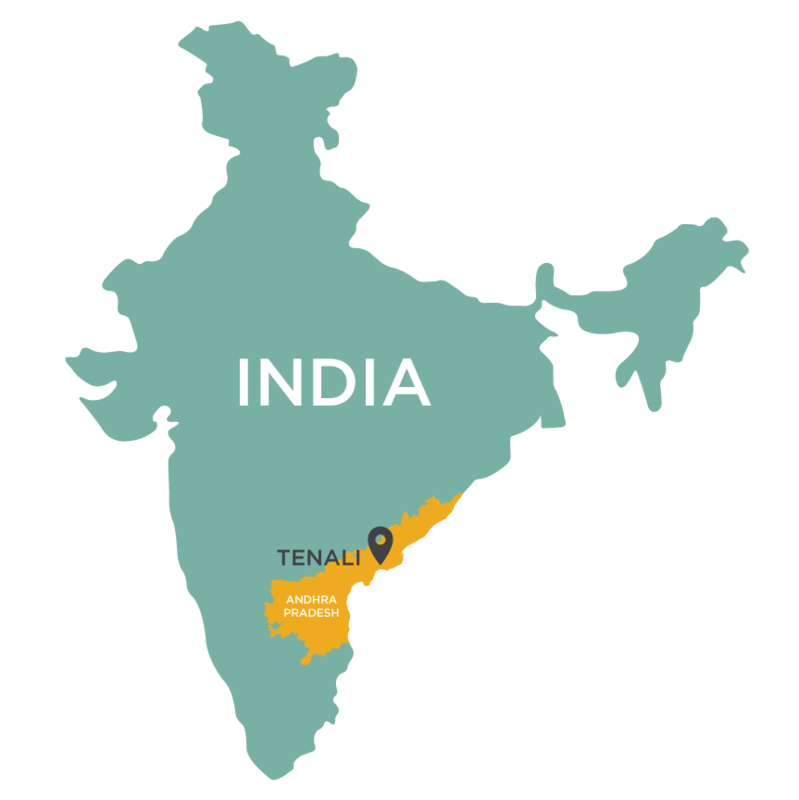 Tenali is the hub of all of Harvest India’s work, however we reach far beyond Andhra Pradesh into Tamil Nadu, Karnataka, and many other states. With over 70% of India’s population living in 550,000 villages that stretch across the subcontinent and outlying islands, Harvest India’s call to “carry Christ’s compassion to every village in India” is mandatory. India is the birthplace to several world religions including Hinduism and Buddhism. Over 80% of the population are Hindu, while 13% are Muslim, and merely 3% of the people are Christian. It is a deeply spiritual place, where even government parties are often affliated with religion. And temples, churches, and mosques are the most popular type of tourist attraction you will see in India. Rooted in a deep history of religion, social structures, economic bounty and struggle, India is steeped in centuries of beautiful traditions and at the same time social ills that can seem overwhelming and hopeless at times, but Harvest India believes that this is a time of hope for the people of India.Click around on the interactive map below to get a better idea of where we are located and operating.